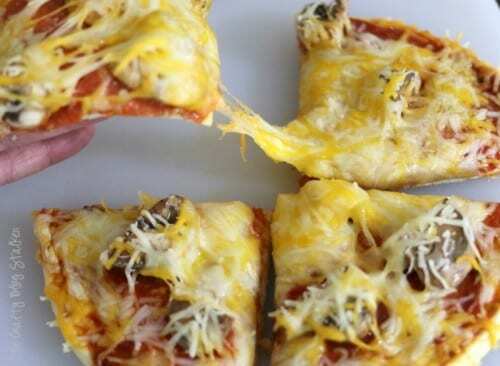 How to make pita bread pizza. A delicious family dinner recipe everyone can make their own with their favorite toppings. Easy DIY tutorial recipe idea! Pizza is one of my family’s favorite meals. My personal favorite is pepperoni and mushrooms, but we don’t all agree on that, so ordering pizza everyone will be happy with can be a challenge. That is why we prefer to make it instead of order out. 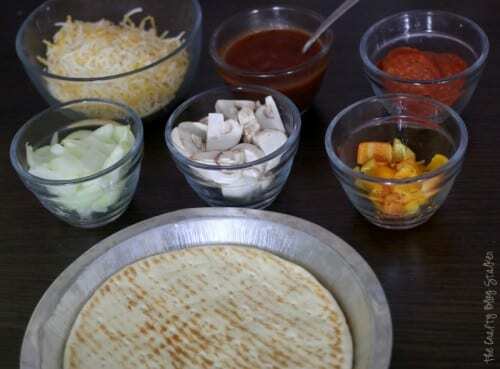 Homemade pizza is super simple to make especially when you use Pita Flat Bread. Pita Bread can be found in the grocer’s bread isle. It is thin, flat bread in the shape of a circle, making a perfect pizza crust. After the bread, all that’s left is piling all of your favorite toppings on top. Place the pita bread in a pie tin . 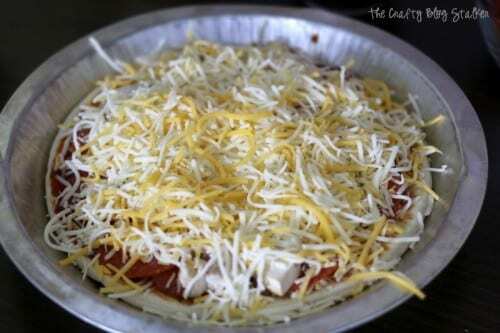 This makes the pizza easy to move around and then it is ready to go straight into the oven. Layer all of your ingredients. 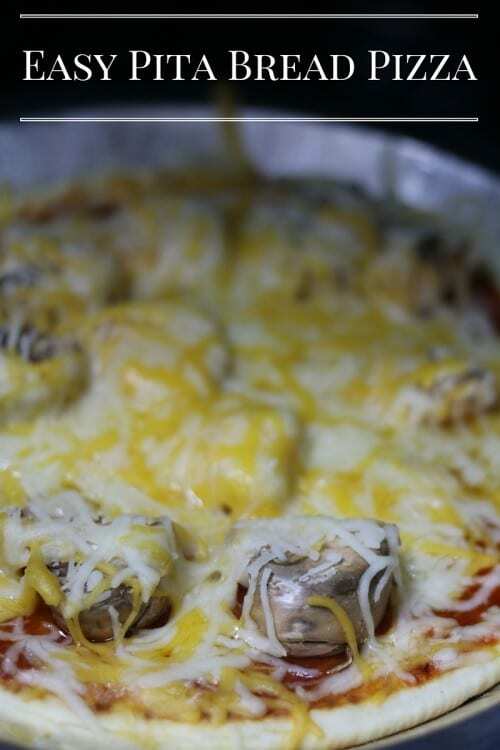 I like to start with a thin layer of sauce, a thin layer of cheese, pepperoni, mushrooms, and then lots of cheese. Bake in a 350-degree oven for about 10-12 minutes. The pizza comes out of the oven piping hot and delicious with all of that ooey gooey cheese. 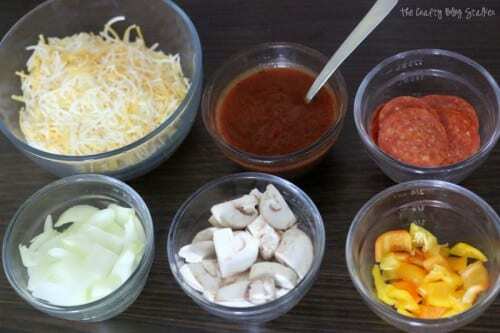 What are your favorite pizza toppings? Share and leave a comment below! 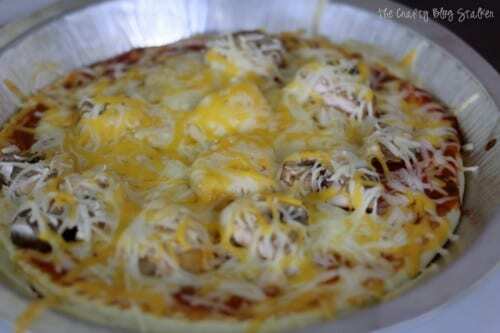 SAVE HOW TO MAKE EASY PITA BREAD PIZZA TO YOUR FAVORITE DINNER IDEAS PINTEREST BOARD! Thank you Chellie, I am glad you the recipe. They really are very easy to make and taste so good! Looks really good!! Thanks for sharing with the Thursday Blog Hop!! Ha ha! I love pizza too! Thanks, Ariel. I hope you love this pizza too! Great idea using the Pita bread. I like to use Naan bread too! Thanks for linking up with Funtastic Friday! Thank you for the recommendation, Heidi! I will have to try it with Naan bread.